Reference photo of Hertsedlund school, and not part of the actual classroom design. Classroom lighting got a renewed focus globally when the smart boards were introduced about ten years ago. But most solutions were crude and basic due to available technology. Today, many schools are realising how dynamic lighting can boost both the learning environment for the students and the working environment for teachers. 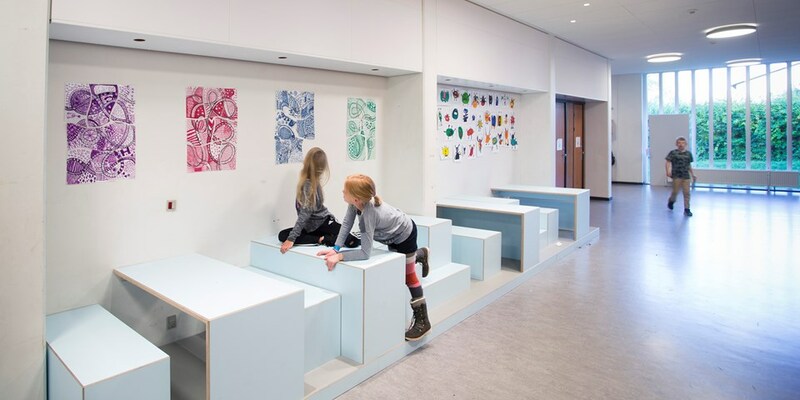 As Albertslund currently evalutes their newly implemented lighting solution for Herstedlund school – we asked awardwinning lighting designer Merete Madsen at Sweco about her own learning experience. What were some of the new conditions and opportunities with this particular project? How do you think the students will perceive/react to the new lighting design? In your view – why is this project important? The new lighting solution at Herstedlund school in Albertslund is currently being evaluated by teachers and students. Please follow us to find out the eventual result, and key learnings.